Since 2005, our employees have carried this message and goodwill outside of our company walls by partnering with various organizations in the greater Cleveland area. Each employee is given 8 hours of community service time to support local organizations that need a helping hand. In the past, employees have dedicated this time to helping at food banks, walking pets, renovating properties with local non-profit companies and supporting assisted living facilities. Just recently, to better utilize these hours and organize volunteer opportunities for employees, the Sea-Land ESOP Communications Committee created SCOOP. The Sea-Land Community Outstanding Outreach Program has committed to coordinating quarterly volunteer Saturdays and organizing company-wide events. 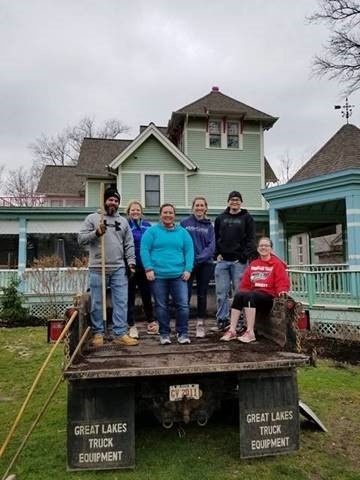 Since starting the program, SCOOP has raised money to sponsor living quarters for pets at the Cleveland Animal Protection League (APL) and assisted the Cleveland Metroparks with a landscape beautification project at the BayARTS Center at Huntington Reservation. The brave group of Sea-Land volunteers helped spread 10,000 pounds of mulch in one day! When it came time to plan our annual team building event we knew we wanted it to be more than team building, we wanted to give back. SCOOP partnered with Team Builders Plus and the local chapter of the Salvation Army to participate in their Wheels for the World activity. 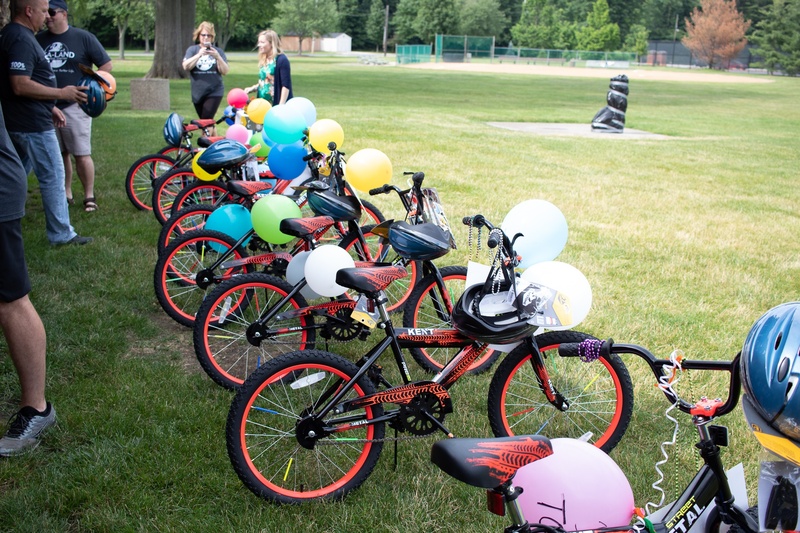 On Thursday, June 21, 2018, all employees at Sea-Land participated in a team building exercise to assemble 11 bicycles for underprivileged children in the Cleveland Community. Many of these children, ranging in age from 5 to 8 years old, had never owned a bicycle they could call their own. We were lucky enough to overcome some difficult team challenges to earn bicycle parts and help provide a great experience for these kids. Following a quick spin on their brand new bikes, everyone enjoyed some pizza and ice cream from our friends at Fire Truck Pizza Company. Watch out for more updates from SCOOP and what we are doing to give back to our community.